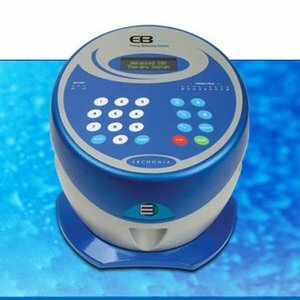 The EB Energy Balancing therapy device utilizes direct current to create an electro-magnetic ionic field. By immersing your feet or hands in a warm water solution of salt and minerals along with an array, this ionic field is produced to help increase energy and aid in detoxification of your body. Placing your feet near the array will enable an electrical contact with all the primary meridians (energy pathways) of the body, which changes the electrical conductivity of the body. By re-establishing the proper electrical conductive paths of the body, the EB places the body in a state of equilibrium or balance. This in turn allows you to have more energy, think more clearly and have a greater sense of well-being. In addition, balancing the body’s energy levels optimizes the central nervous system and you feel more relaxed. Having your body’s energy chemistry balanced keeps your body strong and resilient. We find people benefit from the footbath detox for many conditions. Simple joint injuries like ankle, foot and wrist sprains heal much faster with this technology. People who are doing a nutritional detox have wonderful results with adding a footbath series to their wellness program (we also have an amazing 21 day cleansing program). Chronic or acute health conditions like arthritis, Lyme disease or other disorders that cause a weakened immune state can find benefit from a footbath series as well. If you are under chronic stress, this footbath program can allow your body to de-stress along with spinal adjustments and nutritional support. We generally offer a “foot bath series” of 12 visits. This is recommended to rid your body of accumulated toxins. (then you can do periodic sessions to keep toxins out). Some people set up a 2-3 time per week schedule. Some patients like to have a once per month detox. We can discuss what schedule would work best for you. Each session takes approximately 23 minutes and we ask that you plan on simply resting in a quiet mindset during the session- that means no cell phone use or reading- simply RELAX! If you would like to experience a footbath detox, we ask that you schedule in advance to assure the 2 units we have are available. Please know that this footbath detox is not a “cure” for any disease or condition.